After three trips to Sunset Ridge Hardware, I finally landed on paint colors for the trim and walls. 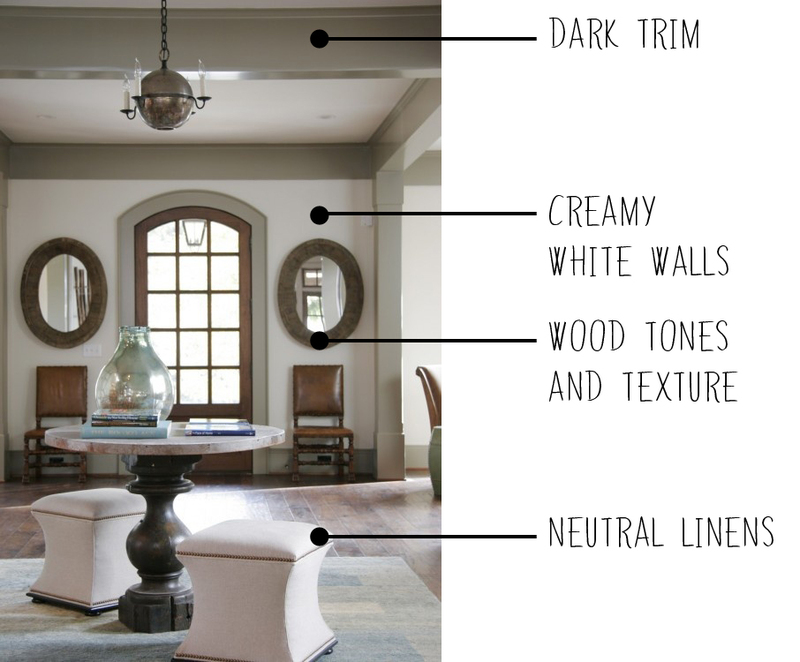 For the walls, I went with Benjamin Moore White Dove and I painted the trim in Benjamin Moore Rockport Gray. 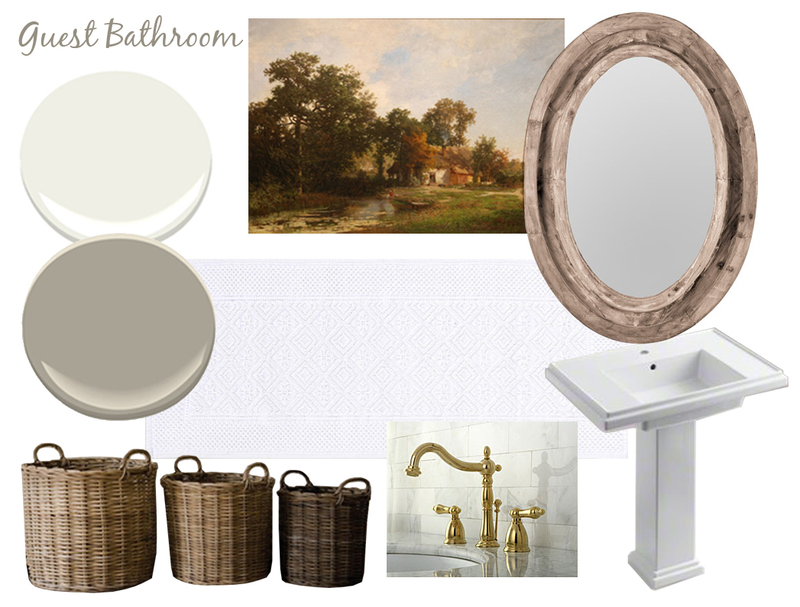 Here is a little board with some of the elements I’m pulling out for this bathroom update. Right now we are only doing cosmetic changes, but one day I’d love to replace the tile surround, put in a pedestal sink, and update the hardware and lighting fixtures. Here’s where I’m heading at least. Now you know where we’re heading. I’ll be back tomorrow with a progress post for you! Let us know when it’s time to tile!